No dental insurance? No worries…. Dr. Kimberly Harper, DDS is offering a Premier Dental Plan to assist with your dental needs. Now you can join our low-cost dental plan for less than $25 a month. 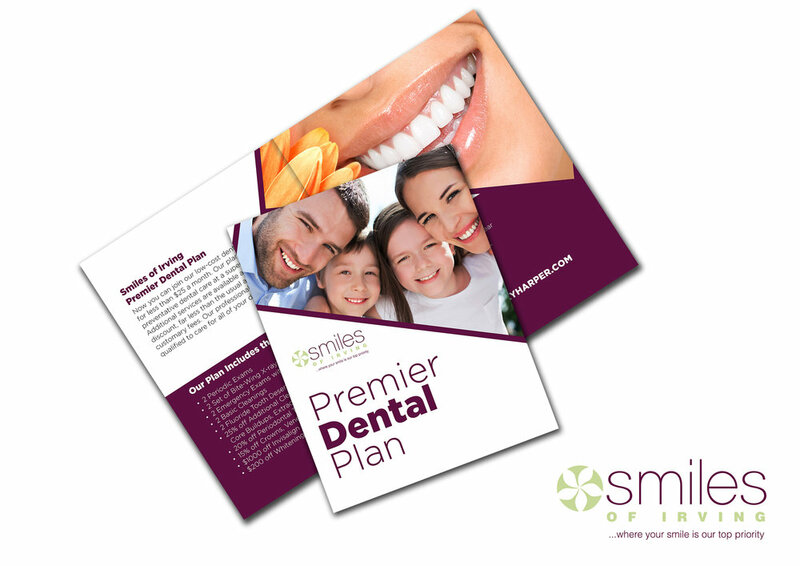 Our plan provides preventative dental care at a super low cost! Additional services are available at a huge discount, far less than the usual and customary fees. Our professional staff is qualified to care for all of your dental needs! 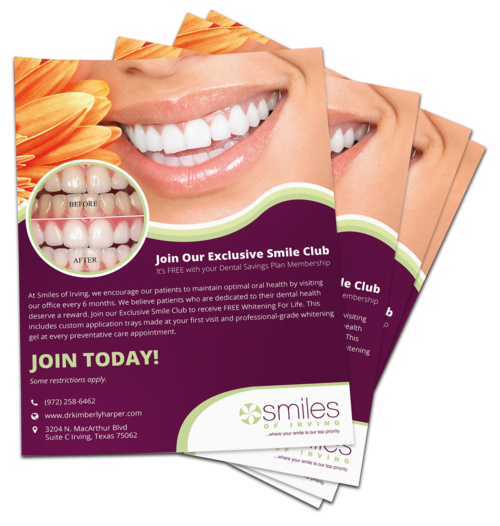 •Membership to our exclusive Smile Club! At Smiles of Irving, we encourage our patients to maintain optimal oral health by visiting our office every 6 months. We believe patients who are dedicated to their dental health deserve a reward. Join our Exclusive Smile Club to receive FREE Whitening For Life. This includes custom application trays made at your first visit and professional-grade whitening gel at every preventative care appointment. The best part? It’s FREE with your Dental Savings Plan Membership!